Jason Hutchins has written a very good review of the Peacemaker that you ought to read before moving to this 2nd Look. His review communicates the character of the ski and orients it among others in this 100-110mm underfoot class quite well. While I agree with almost everything Jason has said about the Peacemaker, my skiing style is a little different than Jason’s, and as an everyday, do-it-all ski, I think the Peacemaker suites my preferences a little better than his. So I’ll offer my own perspective on the ski here, but I’ve also spent some time on the Moment PB&J, which is the most direct comparison to the Peacemaker of all the skis I’ve been on. I initially became interested in skiing the Peacemaker after reviewing the Blizzard Gunsmoke, which, at 114mm underfoot, is effectively a powder / more soft-snow oriented version of the Peacemaker. Jason and I were both impressed with the Gunsmoke’s stability in firm and variable conditions, considering the fact that it is primarily a playful, freestyle-oriented powder ski. I find the Gunsmoke too wide to use as an everyday ski, though; it’s a little heavy in the air, and it feels too cumbersome in bumps for my taste. I knew the Peacemaker would be quicker / more appropriate in bumps than the Gunsmoke. My hope was that it would also do well in variable, cruddy conditions compared to other skis in its class (like the Gunsmoke), yet still be nimble and soft enough to serve as an all-mountain jib ski—suitable for spinning and buttering off cat tracks, doing tail press over knolls, etc. And as you’ll gather from Jason’s review, that is very much the case. The Peacemaker has a relatively stiff flex compared to other skis in its class. I’d say the Peacemaker has a medium flex in the tips and tails that (very smoothly) gets quite stiff underfoot. The flex of the PB&J’s tips and tails seems about the same when hand flexing the ski, but it feels less similar on snow. The rockered portions of the tips and tails of the PB&J seem to get stiffer more quickly / abruptly than the Peacemaker’s. In other words, less of the tips and tails have the same medium flex as the Peacemaker’s. In any case, I’ve found I’m not able to bend and load up the ends of PB&J nearly as much when doing a nose butter or a tail press compared to the Peacemaker. This difference in flex pattern differentiates the skis in some important ways as freestyle-oriented skis, though it was less apparent / consequential when it came to their performance as all-mountain skis in general. I’ll say more about all this below. “On-piste, the Peacemaker loves to carve trenches and go fast, but with a bit of effort, can also break free into turns of any shape you like. As with the other Blizzards I’ve ridden, turn initiation is a little weak compared to most skis being produced these days, so be prepared for a little slower start to turns or a little more input on your part. The Peacemaker doesn’t feel dead to me either, but of the comparable skis I’ve been on, the slightly narrower Nordica Soul Rider feels a little more lively and snappy on groomers than the Peacemaker (I haven’t yet skied the Line Sir Francis Bacon). The Soul Rider isn’t as substantial and supportive feeling when skied hard in firm, rough conditions, however. When conditions are remotely soft, and especially when you have fresh, sharp edges underfoot, you can expect to carve turns pretty aggressively on both the Peacemaker and PB&J. And while you may be slipping an edge here and there on smooth hardpack, both skis feel more dependable and not quite as loose and slippery in firm conditions compared to the wider Salomon Rocker2 108. I agree, for the most part. A directional all-mountain ski of a similar width and more effective edge like the Moment Belafonte, or even the Line Supernatural 108 (which is considerably more playful and dynamic feeling relative to the Belafonte) will absolutely feel more stable and predictable, and can much more easily be skied hard in firm, rough conditions. But the Belafonte and Supernatural 108 are both designed for firmer, rough conditions. 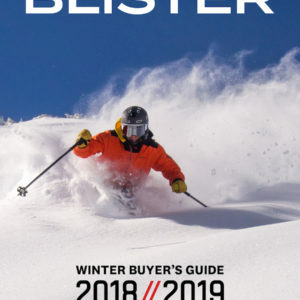 The Peacemaker and the PB&J are intended to be playful, freestyle-oriented skis that have been beefed up a bit to be more capable in challenging, variable conditions. So while the Peacemaker is definitely not a “directional all-mountain charger,” as Jason has said, it “can be pushed much harder than most other playful all-mountain twin tips.” For example, the Peacemaker is more stable and can be skied more aggressively in variable, tricky conditions than the Nordica Soul Rider, the Line Sir Francis Bacon (according to Jason), and the K2 Shreditor 102. And in this respect, the Peacemaker and PB&J are again very similar. I mentioned above that the flex of the PB&J’s tips and tails feels a little stiffer than the PB&J’s, and I noticed this most when I was trying to work the flex of the ski in those areas (during a tail press or nose butter, for example). When it came to skiing through firmer, bumpy snow, the PB&J felt a touch more damp and stable, but the difference seemed slight to me. You can’t lean into the shovels of either ski too hard, or you’ll wash the tails out. And you can’t rely too much on their rockered tails for support, but relative to other skis in their class, both are quite stable. If you stay pretty balanced over the skis, and get good at using all of their camber and effective edge underfoot, you can ski the Peacemaker & PB&J pretty damn fast and smoothly in roughed-up snow. Now, I weigh about 160 lbs, so if you’re significantly heavier than me and your priority is to get the best possible variable / chop performance out of a ski like this, then I would probably tell you to go with the PB&J over the Peacemaker. I personally couldn’t really tell the difference between the two skis in chopped snow, but if you’re ~180 lbs or more, the PB&J might feel a bit more substantial than the Peacemaker. 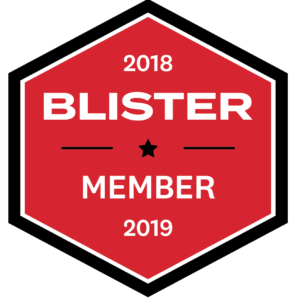 Excellent review as always, I ride the 188 PB&J’s as my everyday ski here in Tahoe, and I can assure you that those stiffer nose and tail come in quite handy in the sierra cement after a storm, when it turns to chop. Thanks again for the great reviews. I’m roughly the same size as the reviewer and I agree with him 100% about the stiffness of the 188 PB&J tips and tails. I am a reasonalby strong skiier but at my size and weight these things feel closer to a big mountain ski than a playful jib ski. Having moved back to NH I only really take them out in the spring or for above tree line bc stuff. They are a fun ski but there are much better choices for icy bumps, groomers, and for tight trees with not much snow. Just my two cents. In this length and at my size this is not the one ski quiver I found it to be in the west. I never skiied the peace makers but i’d have to guess the same could be said for them. Great review Will. I have a couple questions. I’ve been skiing a Line Prophet 115 for the last 4 years and have been wanting something narrower underfoot with a rocker at the tips and tails. I’m looking to get a little quicker and more nimble in the trees & bumps. After demoing the Moment PB&J’s for a few days last year I’ve been hellbent on getting myself a pair. I’ve recently found last year’s Peacemakers for significantly less than the 2015 PB&J’s so I am now considering this ski. I ski most of my time at Vail in the back bowls and Blue Sky Basin. My concern is that I’m much bigger than you, 6′ about 215 Lbs. In this review you only really mention the difference in the skis being the stiffness of the tips/tails when it comes to presses, jibbing, etc… I ski aggressively, forward and fast 85% of the time. This leads me to believe I wouldn’t need to be too concerned with your comments regarding the tips/tails, playfulness. Would you say that’s accurate? In addition, I’ve always mounted skis on the factory line. Given our size differences and the fact that I’ll be skiing these mostly forward would you still recommend +1.5 of the factory line? Really sorry I’ve missed your questions until now. You may have made a decision by now, but one question I would ask was if you noticed that the tips/tails of the PB&J’s felt stout, or not particularly stiff when you skied them. I think you’d probably be happy on the Peacemaker, given that it is quite similar to the PB&J, but I’d be curious to know if the stiffness of the PB&J’s tails was part of the reason you liked them so much. As you are heavier than me, I just wonder if you’d find the Peacemaker less stable than I do (or not stable enough). Hope I can still help! I ended up with the PB&J’s as I couldn’t find the opportunity to demo the Peacemakers. I do find the tips/tails of the PB&J to be significantly more stout than other tip/tail rockered skis I’ve tried in the 95-105mm waist width. I find the PB&J’s to be very stable at any speed and very capable in most terrain and that’s exactly what I was looking for. For me, I’d say the PB&J’s are the closest thing to a true Colorado daily driver that I’ve been able to find. I currently ski Salomon Twenty Twelve with the bindings mounted centre as per Mike Douglas Advice for all mountain and park. I have no problem skiing them mounted centre. I just wondered if you have skied the Peacemaker any more since your review and if you have tried the mounting point any further forward than your review? I would like to know if you have experienced any loss of performance in powder or anywhere else by mounting them further forward and what is the maximum you would go with? I haven’t skied the Peacemaker any further forward than +2.5, unfortunately. Personally, because I ski in a lot of variable conditions in pretty steep terrain, I don’t think I’d want to go any further forward than that; I like having a little more ski in front of me than behind me when I’m skiing hard. If you were to more further forward than +2.5, I would expect the ski’s stability in choppy snow and powder would suffer some, but it would feel even quicker as a freestyle / jibby ski as a tradeoff. It’s really a matter of preference, but personally I wouldn’t go farther forward than +2.5 with this ski – I like having the mount a bit behind center to maintain some stability for when I’m not throwing tricks. Hey Will, I have a question in regards to size choice. I’m am trying to decide between the 179 and 186. I’m 5’10” 165# and ski aggressively, mostly at Kicking Horse in BC (lots of chutes, 10-20 foot drops, etc.) I’m currently skiing Surface Drifters (aka live life’s aka daily’s) at 181 and I love them, however the are becoming my AT set-up and need some new sticks for daily driving. I would go for the 186’s, however am concerned about the swing weight. Do they feel cumbersome spinning or are they decent? I have big skis for powder days, so looking for something more playful (similar to the Surface’s but not as fat). Great review. I weigh 150 and own these in the 186. Skied them in a lot of heavy, wet, snow conditions in Tahoe this year. They performed admirably with minimal deflection and were fun even in slush. At my weight, I could also hold a really solid edge in firm snow with these and was able to ski spring morning steeps with good confidence. Took ’em to CO and skied pow also. As others have pointed out, a foot or so of pow is a sweet spot with these. Also very forgiving at speed. You can plow through that firm/soft snow boundary that you get a lot in Tahoe without cartwheeling. I compared them mainly with the Soul 7 at 188, which was a lot easier to turn and had better float, but also deflected more. I guess I would say that the Soul 7 was better in ideal conditions while the Peacemaker was better in average Tahoe conditions. 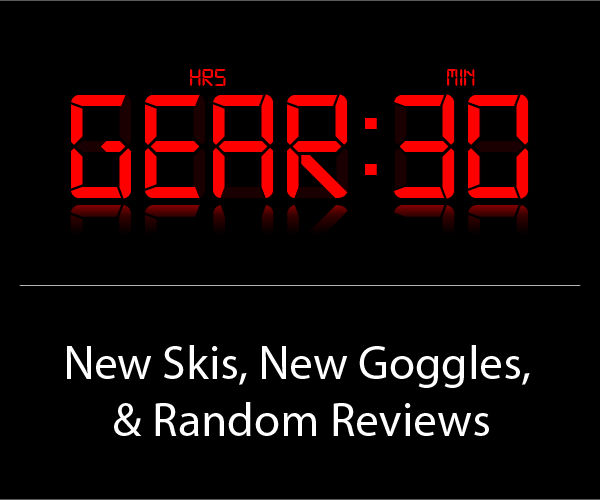 Will I am looking to get my 13 year old son some new skis. His park skis from this year will work next year but he needs a new all-mountain ski. He loves to play and throw tricks and he is an expert skier with 40+ days on the mountain each year. I am thinking by this winter he will be 5’6″ and 140 pounds. So I am trying to figure out if I should get him the 179 Peacemakers or the 178 Bacons. Keystone is his home mountain but he gets plenty of days at the rest of Summit County and Vail. Open to other suggestions as well. With that said, if you’re still looking for some input, between the Peacemakers and the 15/16 Bacon, I think the Peacemaker might serve as a more versatile all-mountain ski. The Bacon will be easier to flick around in the air, but seeing as your son already has a dedicated park ski, he might appreciate the Peacemaker’s increased stability in chunky, off-piste conditions. (Whereas if he were looking for one, do-it-all wider ski to take in the park and everywhere else, then the Bacon would make more sense.) The Peacemaker is heavier than the Bacon in the air, but is definitely still a ski you can spin and trick on. I am looking to add a fourth ski to my closet and thinking of the Peacemaker. I currently have the 189 Scott Punisher a ski I love but it is sometimes a bit much in the bumps. I have a pair of 186 Moment Tahoe that I am not sure how much I love them at this point even after several days on them. I also have a pair of Megawatts that I enjoy on deep days. I am looking for ski that will be easier to ski in tight places and the bumps and thinking the Blizzard Peacemaker might fit the bill. At 6’4″ and 230 pounds and a excellent skier will I over whelm the Peacemaker? Need help with finding a ski for 1 to 6 inches of powder and chop without getting bucked around and one I can ski the bumps. Something in the 102 to 106 range with shovels that are not to big. Will, I’m also a bigger fella at 6’5″ and 235, so like the poster above I’m wondering if the Peacemaker might not be up to a heavier skier in NH junk. I’m an advanced intermediate but like to bang around when the going gets rough. Your thoughts? As you’ve got about 70 lbs and a couple inches on me, it’s pretty touch for me to know if you’d find the Peacemaker insubstantial. It does have a heavily tip / tail rockered profile that compromises stability in crap snow in gaining some playfulness, and the ski’s tip and tail are not especially stiff. So if you are definitely interested in a more playful, tip and tail rockered ski, but want to get the most stability out of it as possible, then I would say that the Moment PB&J is the best option I know of. Thanx Will for your feedback… you guys are the best. I’m looking more for in the 106-110. Would the Bibby be too much for a 6’5″ 235 lb advanced intermediate skiing all mountain Wildcat NH? 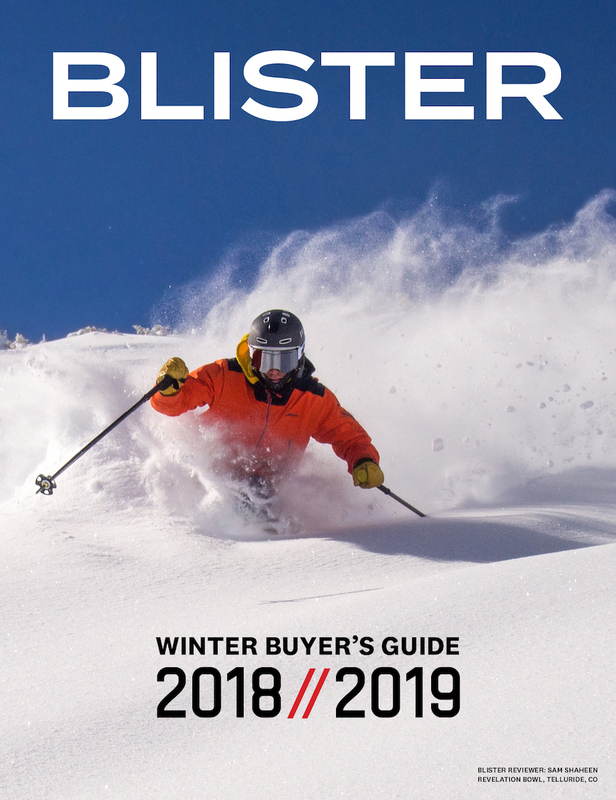 Hahaha I don’t know if the guys from blister have ever skiied wildcat…but I have and I can tell you that most skis even 110 underfoot wouldn’t be alot of fun to ski there 99% of the time. A lot of the best tree lines there are very tight and technical. A lot of the better skiiers there are still on skinny short tele skis for this reason. I’m smaller than you and usually ride something longer than 185 but find this to be to much for a good wildcat ski. While people talk about wildcat like it’s the Alta of the mount washington valley I dont think Alta is as icey. Yes, Wildcat can be icey (been skiing there for over 55 years), but am not looking for a one-ski quiver. I don’t do many treelines anymore, and when it’s icey I’ll go with the Brahma or the Dynastar PT 89. But when the storms come in over the cornice at Tuckermans and drop 12-24 inches on Wildcat in a morning, it’d be kewl to have a mid-fat to tool down Lynx or Catapult in the afternoon. I have the ski for you. The ski I am thinking of for you is the Scott Punisher in 189 CM. I have this ski and love it! I live in Colorado and I am 6’4″ and 250 advanced skier who skis 50 days a year. The Punisher is my go to ski for A Basin, Breckenridge, and Vail. I have Moment Tahoe for hard pack and bump days and the bought some Megawatts for super deep days. I have purchased a pair of Peacemakers as my fourth ski in my quiver but have not mounted it and got it on the hill yet. I purchased the Peacemaker for Keystone and just because buying skis is fun. The Scott Punisher has been a great ski for me in all conditions and does really well in Powder as well. 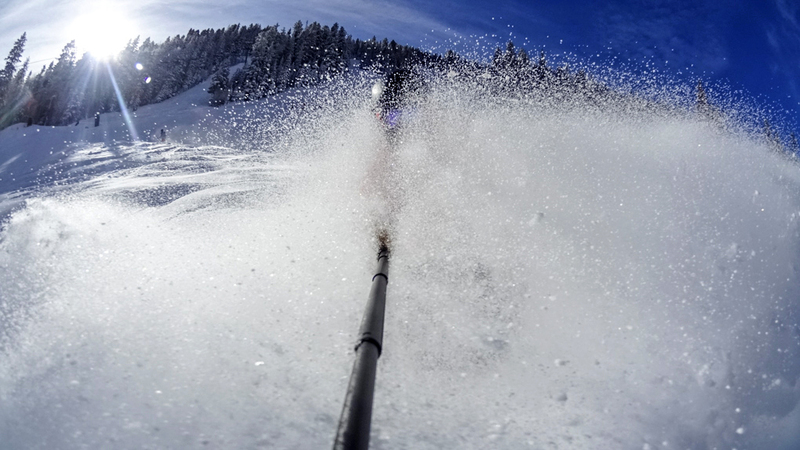 It is easy to ski while not being to wimpy for bigger guys like us. Idaho Water Sports has a one pair of 189 CM left for a great price. You need to call the Burley store and have them dig them up. I found this deal looking for a buddy of mine. I would jump on the price they have. Jake, are you referring to the 95 or the 110 Punisher? The 110 Punisher. They have several reviews on Blister. Jake, have you had an opportunity to ski the Moment PB&J?. Only a couple cms between them with similar rockers. Curious how the Scott Punisher compares to the PB&J for an advanced big (6’5″ 235 lbs) guy doing groomers in the morning with family, then getting a little crazy in the afternoon. Mount location for this ski. I am 6’4″ and 250 pounds. I am a advanced skier with a traditional/forward skier stance and the Peacemaker will be my ski for trees and powder bumps. I have some Scott Punisher, Moment Tahoe, and some Megawatts as well. So should I go with +1.5 CM of recommended line or the recommended line. 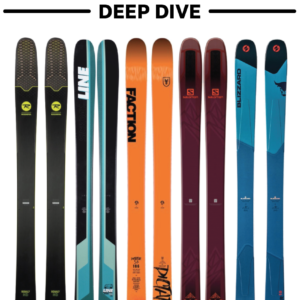 The fact that you ski with a more traditional / forward means I’d dissuade you from going any further forward than +1.5 from the factory line, for sure. But I’m also thinking about the fact that you’re heavier and taller than I am by about 80 lbs and 2″. Just by virtue of having a bigger build / higher center of gravity, it seems fair to say you’ll drive the ski harder than I do through any given turn. As such, you’re going to find the ski even quicker and more nimble at +1.5 than I do, so I’m actually inclined to suggest you go with the factory line. The ski is still going to be quicker in bumps than your Tahoe (the Peacemaker is no slug mounted at the factory line, to be clear), and if you simply like the sound of the ski’s playful-yet-more-damp feel in general, then I wouldn’t think you’d find much to complain about w/ it mounted on the line. I hope I’m helping here and not confusing things – I’m just a little hesitant to give to “go ahead” on the +1.5 mount point considering our height / weight differences, and the fact that you probably ski with a more traditional stance, more often than I do. I have skied the Peacemaker for several days from groomers, bumps, crud, and powder. I have the ski mounted on the recommended line. I am 6’4″ and 250 pounds and an advanced skier. I took the ski to Breckenridge and skied the entire top of the mountain from imperial chair all the way over to hiking to the top of Peak 6 for those of you who don’t know this is steep above the tree line skiing. The ski performed OK in a bunch of different snow conditions and on Peak 6 I was able to get it in some old untracked snow. Granted I am big, The ski did OK without to much tip dive but I did have to really stay centered in the snow. I would have really preferred to have been skiing on my 189 Scott Punishers on all of the runs I took from Imperial to Peak 6. I then skied off the E Chair On Tom’s Baby, Tom’s Mom, Nuggets, and Devils Crouch. E Chair offers some steep narrow bump runs that are alleys through the trees. The skied performed OK but I found myself fighting often not to be thrown into the back seat. I have had a lot of trouble with this ski throwing me into the back seat in the bumps and when navigating steep off piste terrain. I would have preferred my narrower Moment Tahoe’s in the bumps and even my much larger Scott Punishers. I don’t find the ski to be any quicker than my Scott Punishers either. The Peacemaker definitely has a speed limit on and off Piste. Because the Peacemaker always wants to throw me into the back seat I will admit I have a hard time really pushing the ski with confidence. I really wanted to like Peacemaker so this past weekend I skied my Scott Punishers at Keystone with 9 inches of fresh snow and hit the bumps and the trees hard and had a great time. The next day with 6 more inches of fresh snow I skied the Peacemaker on the same runs and did not find the ski any quicker and was always getting thrown into the back seat in the bumps. Right now I am at a loss of what to do with the Peacemaker should I move the mount position forward? or just give up on them . 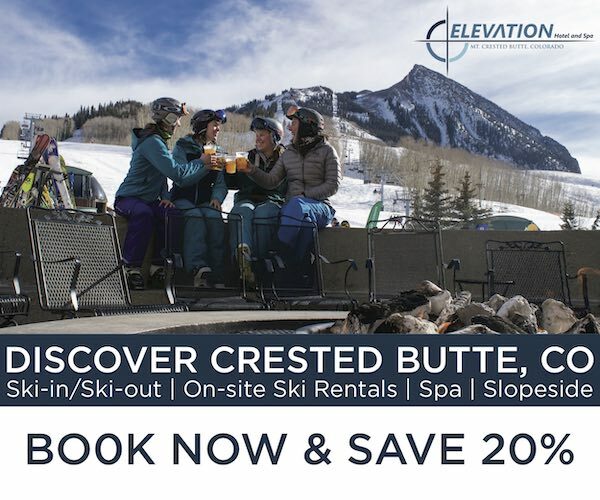 I have a buddy in Crested Butte who has the Peacemaker mounted on the recommended line who is 6’2″ and 180 pounds who likes the ski but also has had issues with getting thrown in the back seat. If Im trying the ski as a PB&J-substitute, because I really just wanted a more narrow Bibby, what do you think about the mounting point? I ski the Bibby on the recommended line today. From this article I would go for +1 to +1,5 in front of the recommended. Is that correct? Anyone have some old peacemakers they are willing to part with?? I’ve milked every ounce of fun from my 13/14’s and never want to ski anything else..